I have a terrible secret to confess. Despite having decent hand-eye coordination, I’m terrible at using chopsticks. I can pick up food with them, and get it to my mouth, but not without a great deal of concentration. 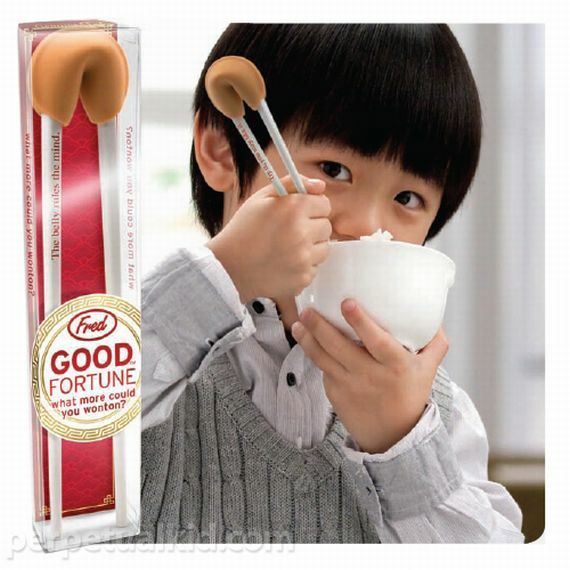 A fortune cookie once told me that a solution to one of my problems would come from an unexpected source, and it was right – Good Fortune Chopsticks have a fortune cookie shaped top that keeps the chopsticks positioned correctly for you. A fortune cookie told me I’d find help from an unexpected source, and a fortune cookie IS that unexpected source… that’s deep.